UPDATE FRIDAY 10.20AM: Police have confirmed a deceased person has been found in a Farleigh house that was destroyed by fire. About 5.15pm last night, a residence at Ridgewood Rd went up in flames. Just before 8pm Queensland Fire and Emergency Services declared the site a crime scene and handed it over to Queensland police. Extensive damage of the house has delayed the investigation. UPDATE 7.15PM: Police have now declared the property a crime scene, as one man - believed to be the homeowner - was still unaccounted for as The Mercury left the scene. 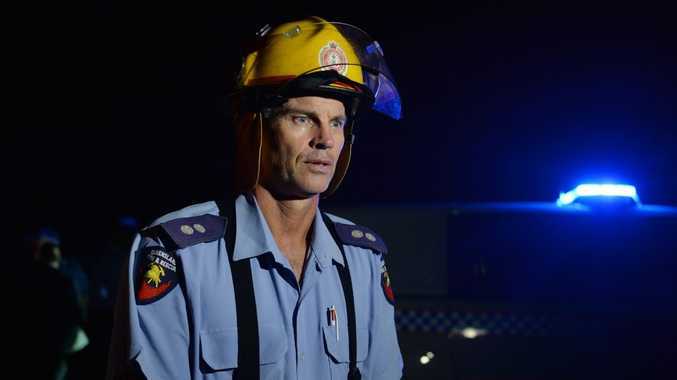 Mackay Police district duty officer Mark Dwyer said neighbours heard a loud explosion at 5.15pm, with emergency crews from Mackay, North Mackay and Walkerston stations rushing to the scene. Senior Sergeant Dwyer said fire investigators were expected to fly up from Brisbane tonight or early morning, with police and scenes of crime guarding the property overnight. The home was a single-storey brick dwelling, with the fire still smouldering and police assessing the scene. 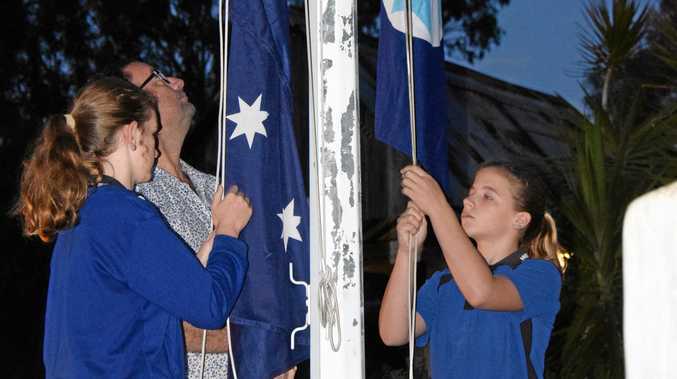 For more updates, keep an eye on the Daily Mercury website and Facebook page. INITIAL STORY: A MAN is feared dead after fire destroyed his home at Farleigh. The fire in Mackay's north-west was the region's second destructive blaze in less than 12 hours. Emergency services were waiting to enter the home on Friday morning and recover what's believed to be human remains. The fire broke out at Ridgewood Rd in Farleigh about 5.15pm Thursday and police later declared the home a crime scene. The Ridgewood Dr home was totally engulfed when the emergency call was made about 5.30pm, a Queensland Fire and Emergency Services spokeswoman said. It is believed there was an explosion within the home, the spokeswoman said.